2011 was the first year since 1979 in which I did not buy a single piece of seven inch vinyl. Subsequently I’ve made a point of putting that right, but it’s indicative of how the format has inevitably been marginalised by mp3s, and also of how my shopping habits have changed; until 2009, I had ready access to stores selling seven inch vinyl, whereas since then, I have not. Just as when I started buying records on independent labels in the mid-eighties, seven inch singles are once again arriving via mail order, only now with download codes included. ‘Moon’ is one such example, pressed on lunar white vinyl. And the most recent single in this selection of 45s also happens to be one of my favourite songs from recent times. It’s flawless, as perfect a miniature as you’d find in a glass-case collection of netsuke. The songs of Kate Stables are that exquisitely crafted, and she sings wonderfully windblown, ululating melodies in as fine and unblemished a voice as you’ll find this side of Sandy Denny. 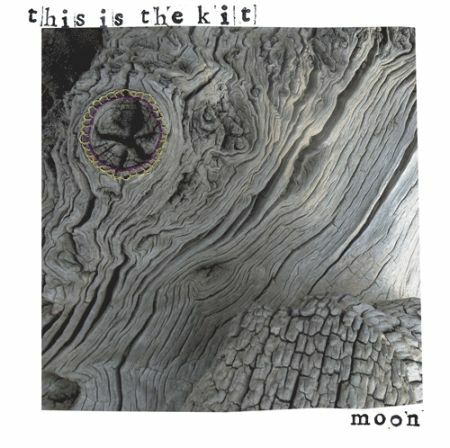 The words are haiku-like in their capturing of an essence: ‘We had the moon, we had the moon, me and you.’ The album from which ‘Moon’ comes, Wriggle out the restless, is similarly fluid and beautiful; each of its songs has either a lilt and a calming air, or a swell and a rush of wind about it. As magical as the satellite itself, refusing to outstay its welcome, ‘Moon’ has demanded endless repeat plays of me, and I imagine it will carry on doing so for a good long while yet. It took a little time for me to get my ears around it, but it was well worth the wait. I doubt few if any sets of music in 2010 will have bettered This Is The Kit’s Wriggle out the restless for managing that rare trick of being both exact and loose at the same time. It’s – dare I say it – perfect, but organic. Immaculately produced by Jesse Vernon, it has the same space and natural richness as the records presided over by Joe Boyd, with nothing unnecessary added. Kate Stables’ words too are precisely pruned, until all that remains is what needs to be there, so that these vignettes of nature, love and birth somehow manage to be both impressionistic and pin-sharp. None of which would be worth saying if between being exacting and limber, her music and melodies were not as fluid and beautiful as they are. I’ve already raved about ‘Moon’ but every song here has either a lilt and a calming air, or a swell and a rush of wind to it. ‘See here’ is of the latter kind, rising up on rough and sinewy guitar, and falling back to Kate’s default softness. ‘Spinney’ also rises up, this time on a wider, orchestral bed of sound, and takes the same kind of undulating melodic path as ‘Moon’; neither outstay their welcome, both demand endless repeat plays. It’s not really folk, though there are songs idiomatic of folk, and it’s not really pop, though there are pop songs. And when ‘Earthquake’ rumbles in with its groove and riff, you might even call it rock. Of course it’s not really rock either. But everything is on a surer footing than Kate’s first LP, Krülle bol, which in the light of Wriggle out the restless plays like a development on the road to what’s coming next, though in itself it’s a sparse and melancholy joy. The songs come so naturally from her lungs that it’s tempting to think they must have been written in five minute flashes. But perhaps it’s craft that makes it look that way, given the time between the recording of this long player and the last. Here’s hoping the next one comes that much quicker. You get an excellent sense of that perfect fit between songwriter and song – and what a great performer Kate is – from the videos below of two songs shot in Paris by La Blogothèque. She’s playing live in February; if you’re lucky, somewhere near you. Saw three self-styled girls with guitars at the weekend, and each was great, and together – guitar, banjo, percussion, melody and harmony – they were stunning. It was down to members of the audience to pick out of a hat (actually a tin) who would play in what order. Each a woman with a guitar (or a shoulder-straining banjo), but each with a unique approach, and none with any honorable but musically off-putting air of having an axe to grind, of the kind that might once have been suggested by the collective tag. For them at least the battle has long since been won. Rachael Dadd was first out of the tin. She has a voice with the timbre and purity of a bell, and you hear in it an emotional and somehow moral force. A churchbell chime, but not constrained by that, instead running musically and poetically free. You hear this on the follow-up to her piano-based Moth in the motor mini-album, the guitar-oriented Elephee EP, and well, long-term readers will know what a fan I am. Kate Stables, the artist formally known as This Is The Kit, is Rachael’s partner in Whalebone Polly. On top there are her wonderfully windblown melodies ululating in the air, while underneath her slightly fuzzy, muddy guitar mounts a gentle attack. She plays her new single ‘Moon’, a perfect miniature, for which we the audience are invited to sound Kate’s opening note. On vinyl it’s expanded into an equally flawless full-band version; its flip ‘Treehouse’ moves with similar grace but also a countryesque twang. 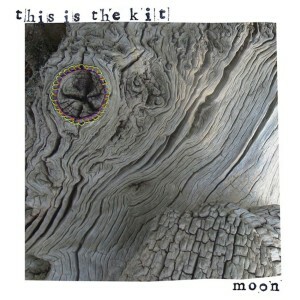 This Is The Kit’s album Wriggle out the restless is due for October release, and if it’s all as finely crafted as these songs, it will be great. In a live setting Rozi Plain is perhaps a little more diffident, maybe less confident in her ability to stand toe to toe with her friends. But she shouldn’t worry, because about half of what she does is jaw-dropping in its beautiful idiosyncracy. It’s not that she’s other-worldly, as you might think from listening to her Fence album Inside over here; in fact she’s actually rather earthy. The first song she plays has the sparseness of the Young Marble Giants, but after that, she draws them entirely from a world of her own. They’re gentle and surprising and softly, almost unintentionally inventive. She played lots of new songs and I hope they all see the light of day soon. In the second half of the evening, each of the trio played a song to a theme, and happily for a man in possession of a birdsongs blog, the theme was geese. You can catch Rachael’s and Kate’s geese over at Nightingales now; I don’t think Rozi’s committed hers to disc yet, so in its absence, I’ve settled on the lovely, spiralling ‘Roof rook crook crow’ from Inside over here. Rachael Dadd and Kate Stables (of This Is The Kit) have teamed up once again as Whalebone Polly to tour and to release an EP, Taproot and sill on Dreamboat Records. Though the songs are less harmonically driven and worked through than those on 2005’s Recording with the window open, and more individually characteristic of their respective writers, it’s nevertheless another fabulous record, thematically complete its own right. Kate’s ‘The turnip turned’ leads off and stands out. Its subject is of somewhat greater complexity than a turnip. Though centred on a particular life event, the song remains mysterious and all the more deeply affecting for that – as if the words, and what they refer to, could stand for any listener in any situation. Like the EP as a whole, it moves from the specifics of individual experience outwards to our connections with our ancestral roots and the soil, connections which, however far we move or stray from them, underlie who we are and what we do. And the music is beautifully just-so, full of wonder, and iced with a touch of the sepia-toned brass-band-brass that helped make ‘In the neighborhood’ one of Tom Waits’ most heart-warming songs. Both ‘Good good light’ and ‘Window’ see Rachael in a locked-down groove of rhythm driven by banjo, bass and percussion. Hers are 3:00 a.m. thoughts scurrying round a brain in a body that just wants to sleep; the songs reprise the cyclical variations on themes that made After the ant fight such a great album. 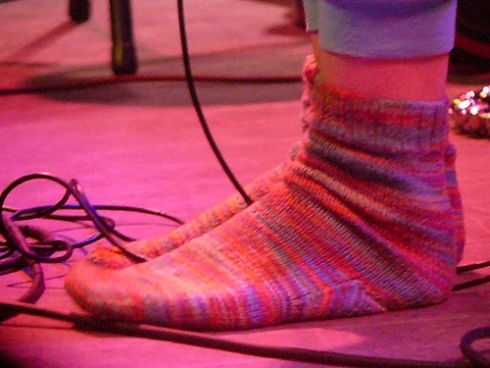 The second of Kate’s pair of songs, ‘And sometimes the sea’, crystallises the EP’s themes. Food, water, shelter, light, love, and the freedom to feel the wind on your face and the tide wash your toes. It’s elemental stuff, yet exquisitely poised – a tricky combination to pull off, but Whalebone Polly do. A follower of Rachael Dadd and Kate Stables might begin to take the beauty of their voices – individually and in unison – for granted, until the sheer whistleable, singable nature of their songs tempts him to try and add his own flat monotone to the mix. Rachael and Kate are writing better-crafted songs, sung more beautifully, than any comparable solo or double acts, and it remains a mystery to me why they aren’t more celebrated.